My name is Michael & a few months ago I joined the Master Protocol team as a core developer. I’d like to take a moment to introduce you to a project we’re very passionate about. You may’ve heard that an expert Mastercoin team has been working on a strategic project for a good number of weeks now. You may’ve heard that we are developing a very welcome and important product. It is the fastest and the most portable Master Protocol implementation. It runs within the same proven Bitcoin Core (currently 0.9.1) we all know and love. It requires no external dependancies, no databases, no script tools; it is native to the Bitcoin network just like 100,000 other nodes. It’s C++, compiles its protocol & UI extensions into the same daemon and QT binaries you’re all used to. In its wallet form it will be seamlessly available on 3 platforms: Windows, Linux & Mac OS. In its node form it exposes Master Protocol extensions via JSON-RPC which makes integration a breeze. Most importantly, it will be the flagship reference client of the Foundation. I’d like to present to you : Master Core. We’ll post further updates to this blog as we get closer to release. Congratulations Michael. Your reputation as one of Mastercoin’s finenest new engineers reaches us here in CA. We’ve heard nothing but promising news about Mastercore and look forward to an initial release that we may test. This is so unbelievably important for our project. I wish we had done things this way from the beginning (a single cross-platform reference implentation). Progress on new features will be MUCH faster with only one implementation, cross platform. I’d also like to add that the guys making this happen are ROCKSTARS. I’ve never seen such intense, sustained effort in my dozen+ years of developing software. 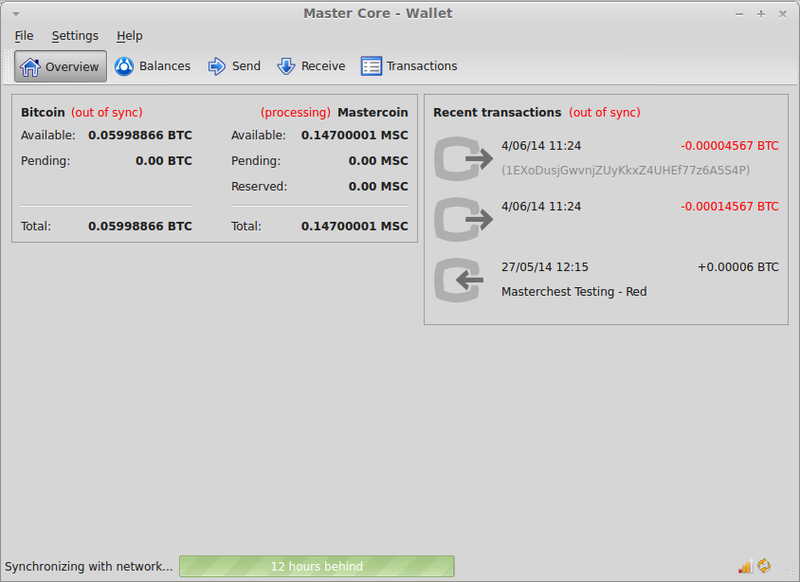 Will it also be possible to send and receive colored coins in Master Core?